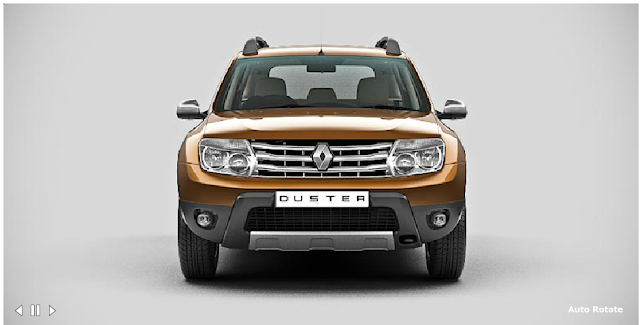 Renault Duster begins promoting the car. Though, all other details including the Launch date, details, first drive, reviews, spy shots have been shared with all our avid readers, now we provide you the 360 degree view of Car. We had also exclusively provided you the details that the top end variant of the car would also be equipped with a third row which will make it compete with Toyota's Innova and all other SUV's in the market.